I'm not a fan of Granada. I never liked that Udinese bought players and "loaned" them to Granada - it was morally reprehensible, and it meant Granada were playing in a different league. And despite Iván Amaya being one of those players, it shouldn't distract from what is, admittedly, a good story. Born in Madrid, Amaya started his professional career at hometown's Rayo Vallecano, playing 31 games with the first team in his first two seasons combined, the first of which was played in the second division, with promotion. After that he returned to the second level but stayed in the city, joining Atlético Madrid for another couple of years as part of the "package deal" of 2000, which saw him, Carlos Llorens, and Jean-François Hernandez being signed by Fernando Zambrano, who had started his managerial career in Rayo Vallecano's youth teams. It was a package deal that never worked out for anyone. Amaya wasn't even there at the start of the season. He led the Spanish national team at the 2000 Olympics and won silver in Sydney but, in the decisive match against Cameroon, scored an own goal to make it 2-1 for the Europeans (eventually 2-2) and also missed in the eventual penalty shootout loss. He never recovered from that incident, and by the time he came back his confidence, and Zambrano, were both gone. Two years with the club and an unassuming La Liga spell with Espanyol later, Amaya appeared in 40 matches for Getafe CF in the 2003-04 campaign, promoting to the top flight for the third time (a first-ever for Getafe). However, he featured very rarely in the following season, returning to division two in January 2005 as he joined Ciudad de Murcia and being an ever-present defensive fixture. Amaya then played two seasons in the second division, with Elche. In July 2009 he was bought by Udinese, being immediately loaned back to Spain to Segunda B side Granada. After helping the Andalusians promote to the second level, Amaya's loan was renewed for 2010-11, but his contract with Granada was terminated on 26 August 2010. On the next day he signed with Real Murcia, also in the Segunda B, and helped them get promoted to the Segunda B too. He spent his last season in the Segunda at age 33, appearing for the Murcia-based club in the 2011-12 campaign 29 times. He has since spent the first half of the 2012-13 season in Cyprus with Apollon Limassol, the second half with Segunda B side San Sebastián de los Reyes, and the 2013-15 campaigns with Puerta Bonita (first season in the Segunda B, second in the Tercera), before retiring. Antonio and his brother are not the same. Antonio's playing style is much more reminiscent of not his aggressive brother but his brother's calm and collected defensive partner Jean-François Hernandez - and Antonio Amaya even admitted that the Frenchman was his idol when he was young. And it is safe to say that Antonio is the face of Paco Jémez's Rayo just as much as Iván is the face of Juande Ramos' Rayo. There were sacrifices along the way. Sometimes, he played at teams not for the football but for the money, because families had to be provided for. Iván has since admitted that he was more hardworking and sacrificed more than Antonio did, and that Antonio was a much better footballer. 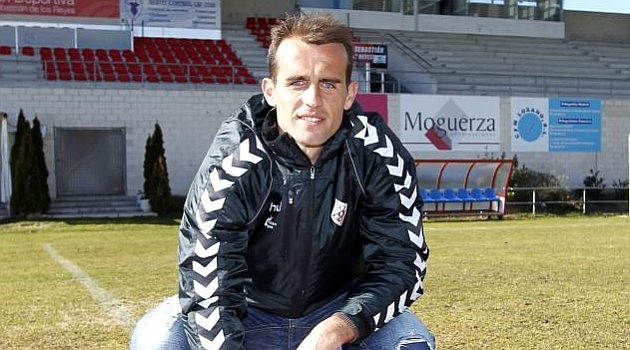 Gabriel Amaya, the older brother of Ivan and Antonio, was a goalkeeper in the lower categories of Rayo although he had to leave football to work and help his family. He had to leave football to fight for the family, so that his brother Iván wouldn't have to. And Iván made sacrifices so that his brother wouldn't have to. But it also meant that a new generation of Amaya's won't have to either - their cousin Yuma still has a few years in his locker. And Iván (Antonio's nephew) in the cadete*, Antonio (his son) in the benjamín*, and Gabriel (Iván's son) and Juan (nephew), both in the prebenjamín*, will hopefully carry on the Amaya dynasty.